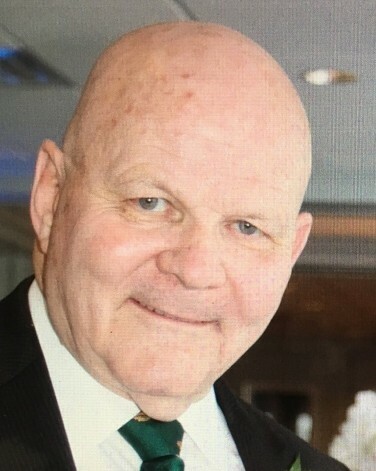 Finn, Anthony F. X. of Forked River, N.J. and formerly of Lincroft, N.J. and Staten Island, N.Y. passed away on February 10, 2019 with his family by his side. He started his professional career as an attorney and then became a licensed ferry boat captain for N.Y. Waterway. Anthony proudly served his country in the U.S. Army from 1971 to 1973 during the Vietnam conflict. He enjoyed sailing and shared his love of sailing by teaching it at the Friends of Belmar Harbor. During the OP Sail Parade of Ships in 1986, he captained a restored 54-foot, 1934 Camper-Nicholson sailboat. Anthony most of all enjoyed spending time with his family. Anthony is predeceased by his parents John and Maria Finn and four of his five siblings. He is survived by his loving wife Laura Scali Finn; six children: Lliam and his wife Kristen, Zachary and his wife Dominique, Trevor, Courtney Moore and her husband Michael, Heather Leykam and her husband Christopher and Blythe Finn; nine grandchildren: Michaela, Jordan, Avril, Delilah, Finn, Liam, Aidan, Connor and Zayden; his sister Annamay Doyle and many nieces, nephews and cousins. There will be a visitation on Thursday February 14, 2019 from 4:00 to 8:00 PM and a prayer service ( 5:30 PM ) at the John E. Day Funeral Home, 85 Riverside Ave., Red Bank, N.J. Interment will be private. In lieu of flowers, memorial donations can be made to the Vietnam Veterans of America, 8719 Colesville Rd., Suite 100, Silver Spring, MD 20910 or Wounded Warrior Project, 370 7th Ave., #1802, NY, NY 10001.